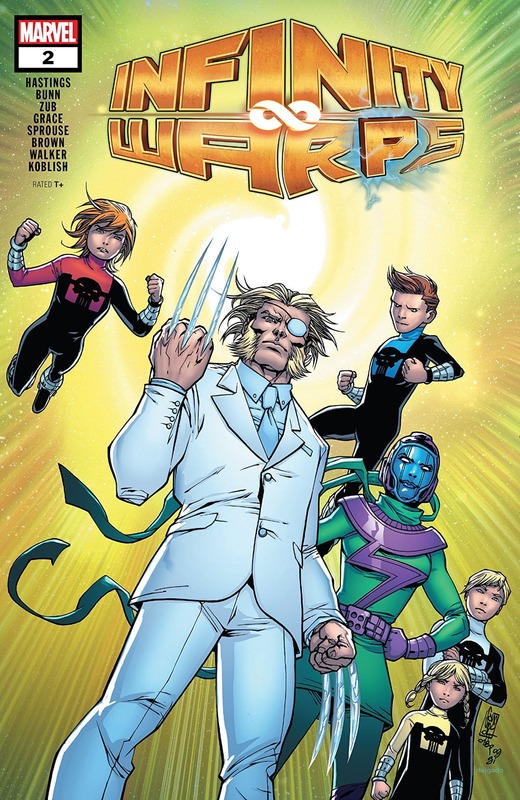 Infinity Warps #2 review: Wait, who is that? – AiPT! Two great combos mixed with two obscure ones will take the average reader out of what is otherwise an excellent series concept. With the warping of the universe at Gamora’s hand, folded in on itself and merged together, heroes and villains alike live in a new universe that has its own rules. None of them know their origins, but all of them present a chance for writers, artists, and the audience alike to experience characters and stories never seen before. In Infinity Warps #2, we get four stories, only two of which cover characters central to the main Infinity Wars plot. The others are a bit stretchy when it comes to character combinations, bringing even the best Marvel fan’s Google-Fu to its limit looking for where each character might come from. This, unfortunately, will take the average reader out of what is otherwise an excellent series concept. Kamala Kang was one of the characters I most looked forward to seeing in her own story and her origins give interesting insight into her powers and potential for the future. Her connection to Kang seems to be the luck of the faulty protection suit that allowed the Chronogen mists in and gave her the ability to stretch through time and space. Cool. Kamala and her family seem much unchanged, save the strange mists and storms that take place outside. Then again, she does live in Jersey. Zing! Kamala wants to head back in time to meet famous people, including her father’s scientist hero, only to really screw up the timeline. Several times. Much more Kamala inside there than Kang the Conqueror. The Punisher Pack — a combination of Punisher’s origin story and the Power Pack — includes Beta Ray Bill referring to another equine hero, Aeylfyre Whitemane, glomming his story with the Power Pack onto the larger Punisher mythos, creating a murderous group of pre-teens bent on revenge for the deaths of their families. Against a bunch of lizardmen mobsters. Taken from the point of view of a casual reader, this one might be a stretch to figure out. Trying to suss out the backdrops did take me out of the story of glorious revenge. It also made me glad that neither Frank Castle nor my four-year-old ever had access to actual super powers. Diamond Patch is absolutely one of my favorite mashups and should get his own series immediately. A sassy Wolverine with diamond claws and even less compunction about hurting people? Oh, and his psychic powers only work when he cuts someone? Yes, please. The order of the story is a bit Tarantino and very well structured. Patch clearly is a man of renown, dealing with adoring fans and underground intrigue all while trying to avoid assassins like Deathstrique, a mashup of Deathstroke and Mystique. Perhaps the most confusing character of the book is the main narrator who, similar to Infinity Warps #1, bookends the comic, giving a frame structure to the unrelated tales. Last time we had Watcher-X, a clear amalgamation of Professor X and The Watcher. This time, we’ve got Foreverbush Man. Our crack staff here at AiPT! came to my rescue, realizing that this combination Eternity, leader of the Cosmic Entities, and Forbush Man, a fictional (even inside the Marvel Universe) employee of, you know what it’s not important. It’s super weird and really quite confusing. I was really excited about the deep dive into Marvel’s past heroes and villains, but should have realized that some writers may just pick one of the oddest or most obscure people they happened to dig at some point in the past and shoehorn them in somewhere. I would have rather had a more familiar combo to narrate; perhaps Throglactus or Swarmmamu. See, I can Google obscure Marvel characters too.